DATE - October 8, 2007. FOUND - " Greensburg Sportsman Club" Rd. WEATHER - Several dry days. A good time to gather. A group of approximately 40 + pods were gathered. The finished product, for 20 pods, was approx. one gallon of concentrated juice. The concentrate makes a delicious tasting, lemonade-like drink. I use the concentrate at a 1 to 1 ratio and add Splenda to sweeten it up. Add ice and stir. Also a great substitute for Real-Lemon in Jelly Making. 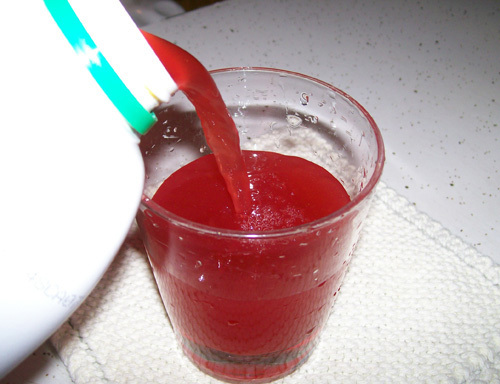 Most jelly recipes require the addition of some lemon juice and plenty of sugar. The acidity in lemon juice is what helps the pectin in the gelling process. 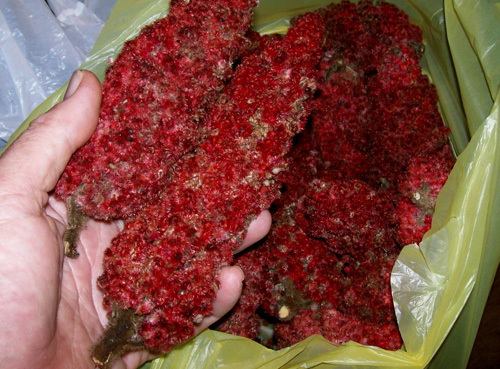 Since sumac is very high in acidity it works great as a lemon juice substitute. Plus it is free. Gather from a clean area however, not near highways. 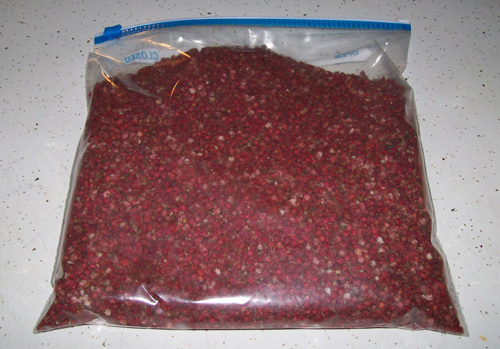 Separate the berries from the pods, put in a Ziplock Freezer bag, and they will keep in freezer for a long time. No other processing required.